This guest post is brought to you by SmartSquare. There are so many great baby products out there. While my husband does not wear a suit often, this would be great for the weddings with went to with our little girl. He could have helped out Mommy too! Okay, so I recently had a baby, as you know. I also came across this new high quality prestige baby wipe for my husband. Immediately after I saw it, I purchased it for him because I knew he would love it. I found a new SmartSquare baby wipe that is the right amount of masculine for my husband but gentle enough for our new child. Sure, it sounds a little off beat, but seriously; this SmartSquare has saved the day more than once. My husband is a successful businessman who works in a highly renowned company downtown, he doesn’t carry a ‘baby bag,’ I have never been able to get him actually like one. However, the SmartSquare fits him perfect. It blends in seamlessly with his business attire and doubles as a baby wipe. I couldn’t ask for more. So, I wanted to write this article to inform all new mothers that one of the smartest things you can do is to buy your husband a SmartSquare. We just had our newborn in May, but fathers day is just around the corner. The SmartSquare will be the perfect gift you’re your man and still allow him to maintain his ‘manliness,’ which we all know that every man has to maintain a certain amount of self-confidence and composure. Before I get into how it will help you; you need to sell it to him. Let me tell you how. First off, establish your credibility and make sure he realizes how much you actually do. Even if you have to make a list to show how much you contribute, make sure he knows that you take care of so many things, make sure he is ready to fully divulge himself. Tell him that when he takes the baby to day-care, sometimes needs cleaned up. You do not want to rep a messy baby at day-care do you? Convince him that having a clean child, means having a safe child. Because the SmartSquare fits directly into his suit pocket, he can maintain your child’s best looking appearance without sending him to school with a messy face. Not only does it get the job done by cleaning your child’s face, it makes your husband look good! Let’s put it this way; you married him, you must love him, help him look good. Trust and self-confidence is a huge thing with the male species and ensuring they maintain their manliness is key. 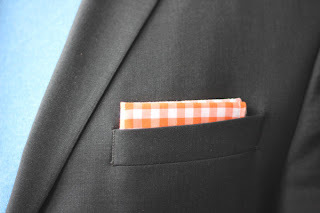 With the SmartSquare they can have the ability to clean and wipe your child while keeping the SmartSquare in their suit pocket to supplement the work they think they do. By giving your husband the SmartSquare you kill two birds with one stone. You give your husband style while maintaining the ability to effectively clean up your child without compromising your husbands $200 jacket in the process. Long story short, theSmartSquare is the fathers product of the future. Get him a SmartSquare and allow him to maintain his ‘manliness.’ Let him think he has won a few battles by giving him a gift that you actually want him to use, for good use.